3D printing is enabling all sorts of new things that we never before thought were possible. For instance, did you know that the 3D printer technology can now turn you into a superhero? It’s not cheap at $129, but who ever said being a superhero would be cheap? 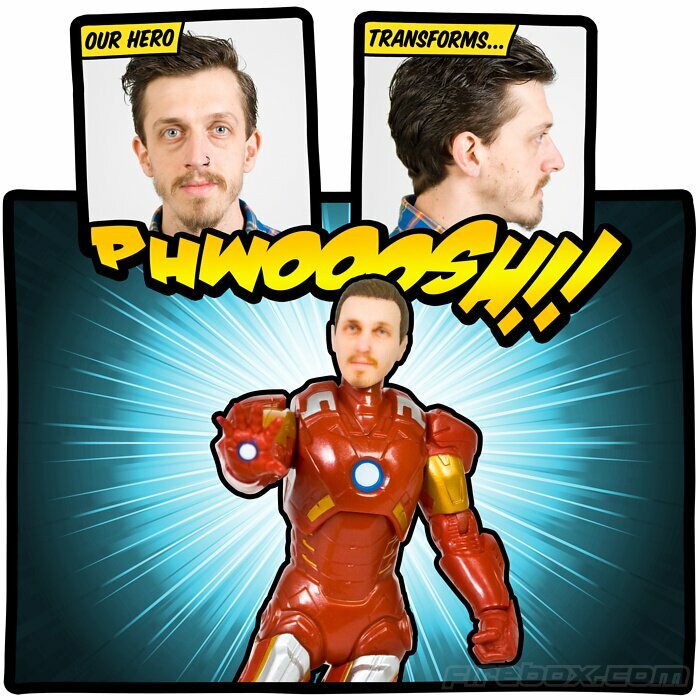 Yes, at Firebox.com, you can choose to make a 17 cm (6.7 inches) 3D action figure of yourself in the form of Batman, Batgirl, Superman, Captain American, Ironman or Thor. And it’s as simple as uploading two photos of yourself. Here’s how it works: You just need to take two photos of your face: one from the front and one from the side. Then you upload the images and select what superhero you want to be. When you receive your figure in the mail and take it out of the box, your personalized head will not be on it. It will have the original superhero head attached, and you will simply pop of that head and then pop in the head Firebox made of you. It comes with a stand so you can set your superself atop, in standing position, any flat surface. And when you get tired of being one superhero, you can just pop your head off of it, and pop it on another one.